Rant the fifth (when you think it’s all over) – Who said that? You know just when you think it’s all sorted, you can forget about it, and get on with far more important things, but the same poor customer service continues and the whole thing drags on forever? I do 25k+ miles a year in my car, which is why I change them regularly. I’ve been buying Renaults since 2002. I’m on my ninth since then. You’d like to think that in that time their customer service has improved somewhat, sadly it seems, it has not. I ordered my car on September 6th. I’ve had it since September 15th, I love it, and yet the saga of its purchase is *still* not finished. I am still having to make constant phone calls chasing up what I am entitled to. My official complaint with Renault is now two and a half weeks old, and yet we are still nowhere near resolution because once again inept people are unable to answer or return phone calls. Here is the timeline of my saga thus far…. I order my car. It takes 2 1/2 hours to thrash out the deal, but it is enjoyable, the dealership is great and hey a 2% deal is not to be sniffed at. Also, they have the car I want in stock so I can collect it the following Friday, the 13th (shut up), which means on top of everything I qualify for a £250 Amazon voucher. W00T! Say I. I am happy, this has gone well, and I begin to look forward to Friday. I receive a phone call from the car dealer. There’s a problem with your paperwork. Can you just fill all this in again? It’s my first opportunity to revisit the car dealer since the last phone call. I firmly ask to be told what the hell is going on with my car. I visit the car dealer again to finalise my paperwork. In an effort to appear like they are pulling out all the stops I am told I can collect my car the next day. 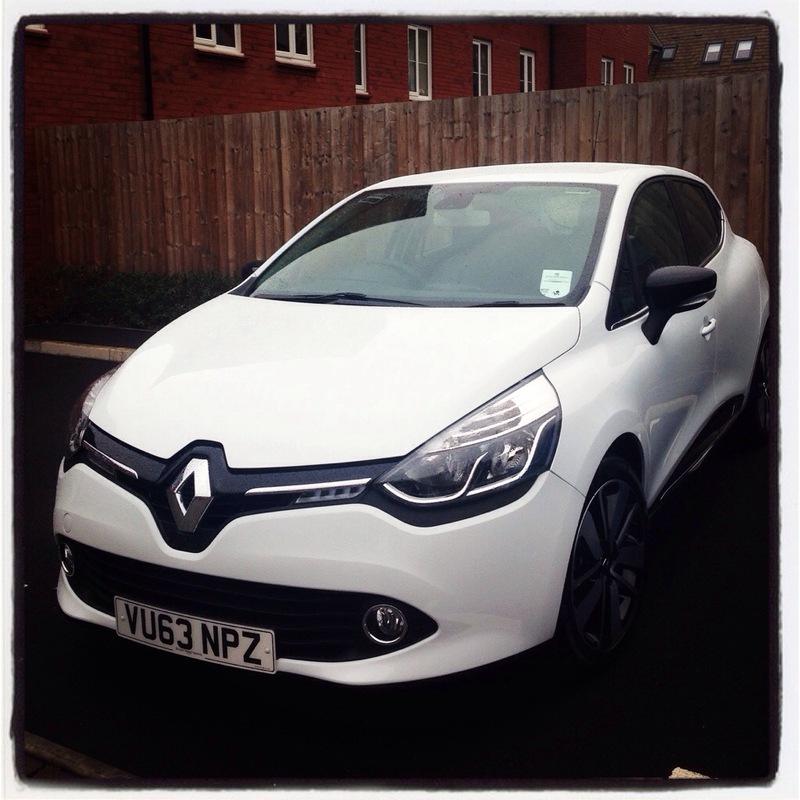 To date I have received no paperwork, letters or information from Renault about when I begin paying for my new car. This is highly unusual, as let’s face it everyone wants their money back, and often the sooner, the better. Oh, that doesn’t sound good, so I go on to ask if they can check whether the car dealer has settled my previous finance agreement for my old car. I spend three hours trying to get hold of someone at the car dealer with no joy. Oh the joys of #Renault #BristolStreetMotors being complete fuckwits and not having yet paid off finance on the car I traded in 20 days ago. Eventually I get hold of the salesman who sold me the car. He however cannot help as he is currently miles away from the dealership chauffeuring someone higher up back to the airport. Receive apology text from car dealer manager saying he’ll sort it ASAP Monday. Another visit to the car dealer is called for after I receive a text from the manager querying the settlement figure on my old car. After a lengthy, apologetic statement lamenting his having to do extra work, and cocking it all up due to his lack of administrative staff he confirms my car has been paid off. Apology accepted, I say thanks and then have to ignore his attempts to berate me for ranting on twitter. He was apparently aggrieved somewhat that his boss (who uses twitter) called him to ask what was going on and he didn’t know….. But it is all too easy to complain I decide and so, believing the matter now sorted I do however, do this. After allowing enough time to pass in order for records to be updated, I call Renault to confirm my old agreement has been cleared. Since this has been done, I ask when the first payment on my new car will be…. I finally receive a letter stating I’ll start paying for my car on the 28th November. It’s now been two months since I got my car and a month since I last heard from Renault, but as yet there has been no sign of my promised £250 Amazon voucher. I call Renault. I end up have to make an official complaint as the only way you can get through their automated systems to speak to an actual human being is by choosing this route. The pleasant complaint agent from Renault sends me a text as I miss a couple of her phone calls. I am currently still waiting on an update re: Amazon vouchers. Once i have further information i will be in touch with you. I have as yet heard nothing about my complaint, so I call Renault yet again. The pleasant complaint agent is unavailable. In order to try and speed up the process, I email her a PDF copy of my order form proving when I ordered my car. I tell her that over a week waiting for a phone call back from a car dealer to confirm when I ordered my car is unacceptable. I also let her know I am out of the country for a few days and that I expect this resolved when I get back. I am back at home, I have been for over a day, but I still haven’t heard from Renault. I call them AGAIN. My complaint agent is on annual leave. Her relief is aware of what is going on, has seen my email, has chased the dealer the previous day and is awaiting a call back. I haven’t heard a word from Renault since my last call to them on Wednesday. Up until now I have been polite. I have accepted failings where they have occurred due to simple human error. It happens, we’re not all perfect right? So I call Renault AGAIN. My complaint agent is still on annual leave and the person dealing with my complaint is now not taking my phone calls and not calling me back. I’ve had enough. How hard is it to find two minutes to return a phone call. The car dealer can’t do it, Renault it now appears can’t do it, and yet I have apparently all the time in the world spare to keep ringing them up and trying to get this sorted. It’s poor, pathetic and shoddy service. I’m sick of wasting my time, my energy, on my visits to dealers, and I’m fed up of spending my money on premium rate phone calls, just to try and get what I was promised. So here is my rant, posted on every social network I have access too, and publicised anywhere else I can think of too. Someone sort this bloody problem out.